When choosing a longboard, the first step every skater needs to take, in order to ensure picking the most suitable option for themselves, is to decide on a longboarding discipline. Even though there are many, they have been broadly divided into three categories – freeriding, downhill skating and cruising. 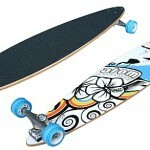 Read more How To Choose The Best Longboard for beginner. Cruising is most suitable for those who want to use the longboard as a means of transportation, while downhill riding is for the speed lovers. Looking for some of the best longboarding places in the US? Read about The Best Longboarding Places in the US for downhill longboarding. Freeriding, however, is for the skaters who truly have a flair for beauty and technique. In this discipline, the rush comes mostly from challenging yourself, while striving to master evermore difficult tricks. The freeriding style is basically an amazing mix between downhill and freestyle. It allows for speedy sessions, however it is not strictly racing, as is the case with downhill. The freeriding longboard discipline incorporates some of the creativity and fun-loving ways of the freestyle, as it allows some tricks, both very technical, for advanced skaters, and simpler ones. Most famously, freeriders do slides, which is a broad category including a variety of tricks, and aerials. Aerial tricks, as the name suggests, are executed as the rider uses their hands, feet and torso in order to lift the board and become airborne. And all of this while speeding downhill! The combination is not only rush-inspiring, but also very exciting because skaters can constantly develop and improve their skills in this discipline – there are always new, more difficult tricks to master. Read also about longboard equipment and more interesting article about best skate shoes of 2014. Even though freeriding is an incredible longboarding style, really satisfactory riding sessions can only be achieved with a quality longboard. Otherwise the skater isn’t able to gain good speed and perform tricks as well – generally speaking, if the board isn’t a good one it is more likely to get in the way of having an awesome time, rather than help. So, something to definitely consider, when trying to pick the best freeride longboard, is the Riviera Street Slayer Drop Through Longboard. It certainly stands out from the crowd with its specs, pricing and customer reviews. Before picking this, or for that matter any longboard, every skater, new or experienced, would do well to meet their board of choice, up close and personal, by learning all the dirty little details about it. The Street Slayer definitely has an impressively tough name, but, luckily, that’s not its only advantage. To start with, just like when considering any other product, finding a quality buy means finding a good manufacturer with sturdy principles and traditions. Riviera, which is a California-based company, has exactly those qualities. They are a world-famous manufacturer that offers a wide variety of boards, for all styles and preferences. One very important detail, is that the boards made by Riviera combine quality and budget-friendliness, which is certainly something that should not be overlooked. All the materials that go into their boards have a high-quality guarantee and make for long-lasting purchases, consistent with the skater lifestyle. Apart from manufacturer, there are also some other important aspects that should be considered, when trying to find the best freeride longboard. Mostly, those are the deck (the flat part of the longboard that is used to step on), trucks (the metal part that hold the wheels to the deck), bearings (they are what makes the wheels turn) and the wheels themselves. When it comes to freeriding, all the components should be carefully assembled, as they are crucial for maintaining stability on the board, and yet being able to gain speed and perform tricks. Naturally, the deck is the place to start when picking a longboard. When it comes to freeriding, the deck should be neither too small, nor too big, otherwise it will not be easy to control and the more aggressive maneuvers will turn out clumsy and awkward. That is why the perfect length is between 38-42 inches. The Street Slayer’s deck comes in two sizes, that match this description perfectly – one is 9.00 x 38 and the other – 9.00 x 41,5. The Street Slayer also has a Drop Through deck – that means it is lighter than most, which is good for gaining speed and simply makes carrying the board around easier. The materials that go into a deck are also essential. When buying shoes or clothing, no one wants to purchase something that will feel uncomfortable or will come apart in a few days. Same goes for longboard decks. Freeriding can be rather rough on the deck, with all the speed and tricks that go into the style, so it is important to pick a sturdy base. Here, the Street Slayer can certainly compete for the title of best freeride longboard, as it is obvious that a lot of thought has gone into the construction of its deck. First of all, it is made out of bamboo (and the graphics on the bottom keep up with this theme), which is a material with endless advantages, but mostly, it is eco-friendly and provides the perfect amount of flex – enough to aid tricks, but not so much that it is difficult to control. Apart from being very agile, the board is also very strong and can handle all kinds of hardships that freeriders like to put it through. That is because it is made out of 4 plies of full bamboo veneer, and an inside consisting of 3 layers of tri-axle pre-cured fiberglass. All of this would make any skater itch with the need to test the Street Slayer’s limits, especially upon hearing that the layers are fused together with Riviera’s very special Super Resin Glue. This is an epoxy resin glue, specifically designed for skateboarding. It is lighter than its water-based counterparts, slower to deteriorate and is less affected by weather conditions. Still, that doesn’t mean riding in the pouring rain, but skaters who live in either very hot or very cold regions will certainly appreciate it. The trucks on the Street Slayer are also something to look at very carefully – they are 180mm. Paris trucks. First of all, with this freeride longboard, there is a bit of space between the trucks and the nose and rear of the board, which makes lifting it, and therefore performing tricks, much easier. As was already mentioned, this is a Drop Through board, which means that the baseplates of the trucks are mounted on top of the board, with the trucks hanging through a hole. This is a plus when it comes to freeriding, because this type of decks are closer to the ground, which provides more stability and higher maneuverability. The next thing to look at, after the trucks, are the wheels that come with the Street Slayer. Choosing wheels, when considering both the style factor and the usefulness factor, is a step that can make or break the best freeride longboard. 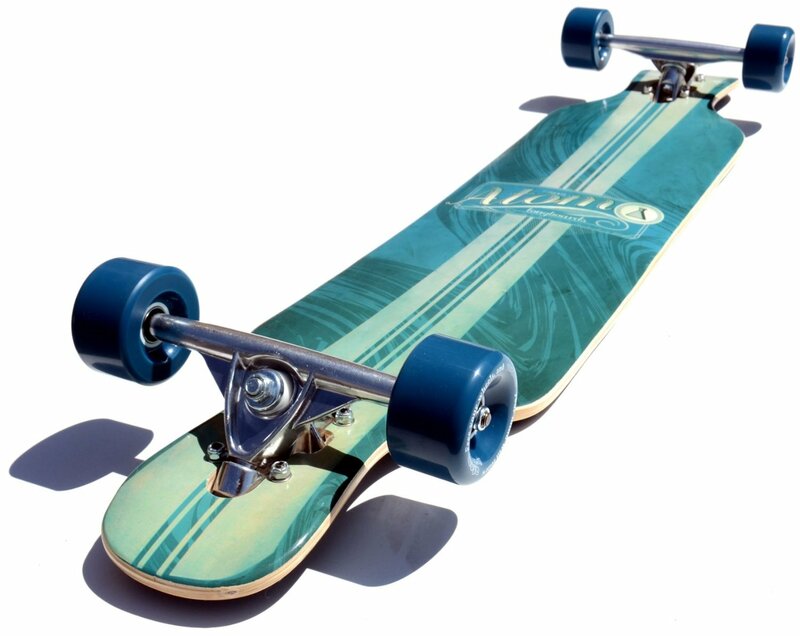 Luckily, the wheels on this one gain points in both areas – they mainly come in two colors – pastel grey and hot green, in accordance to the graphics on the deck. But more importantly, the wheels, manufactured by Divine, are 72mm and have a stone-ground finish, which makes them absolutely amazing right out of the box, without really needing any breaking in. In addition, they have been especially designed for sliding, which many skaters find especially useful on sharp turns, when the wheels can really help control the board in difficult situations. Last but not least, the bearings are something to be considered. This part of the longboard, which is placed inside the wheels, is very important because it is what makes the wheels turn. The bearings on the Street Slayer are ABEC 5 Speed Bearings. Since the ABEC system classifies bearings into 5 categories (1,3,5,7 and 9), the Street Slayer bearings come right in the middle, which means that they are not the most excessive option, but do a very good job, and are great for the freeriding experience. Interested more about bearings? Read about Best Longboards bearings. In the race for the best freeride longboard title there are certainly many worthy contestants and the Riviera Street Slayer Drop Through Longboard is right up there. It not only has very good technical specs, which will certainly match the tastes of both newbies and expert riders, but also is rather affordable. And, of course, its name is in perfect compliance with the amazing graphics on the bottom of the deck, which will serve as an inspiration to truly “slay” those hills and tricks. 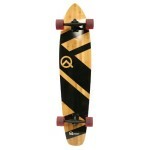 If you need more recomendations about this longboard click here.